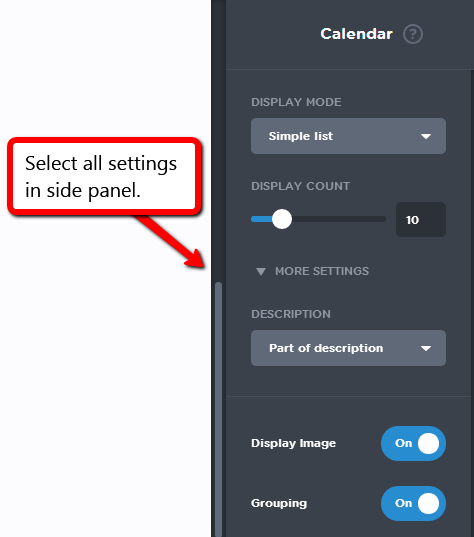 Mouse over the calendar to show the calendar panel. 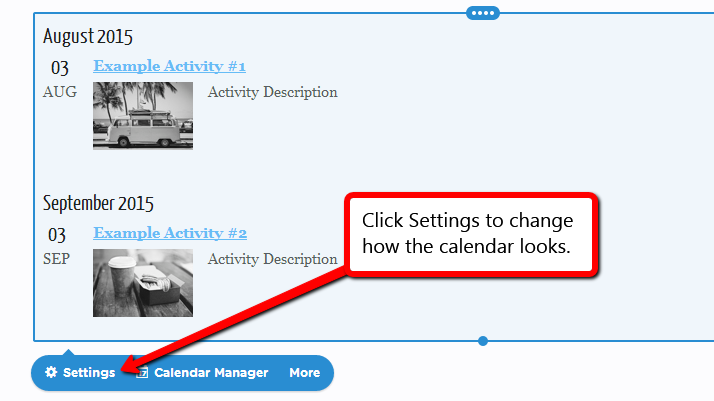 Click on settings to view side panel to customize your calendar. 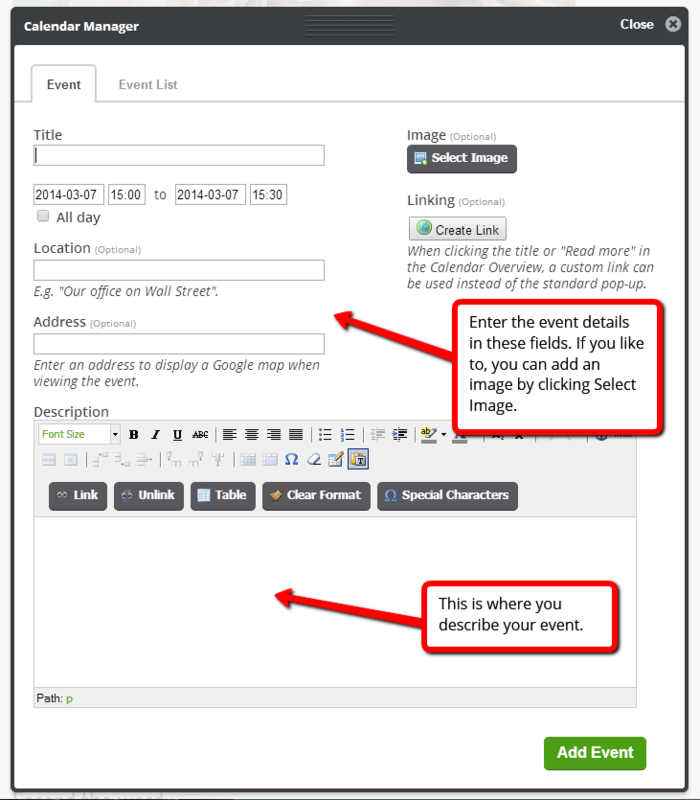 You can add several calendars to your website, but it will always show the same events as the original calendar. 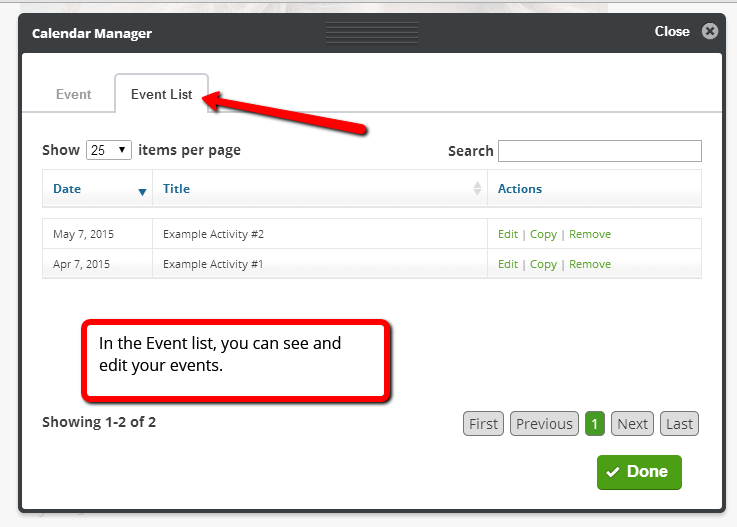 For example, if you cancel an event in one of your calendars, it will disappear from the other calendars too. 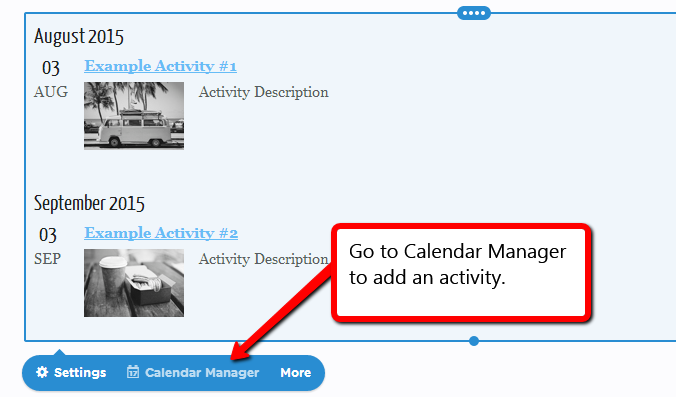 If you wish to add multiple calendars with different information, we recommend adding the Google Calendar. 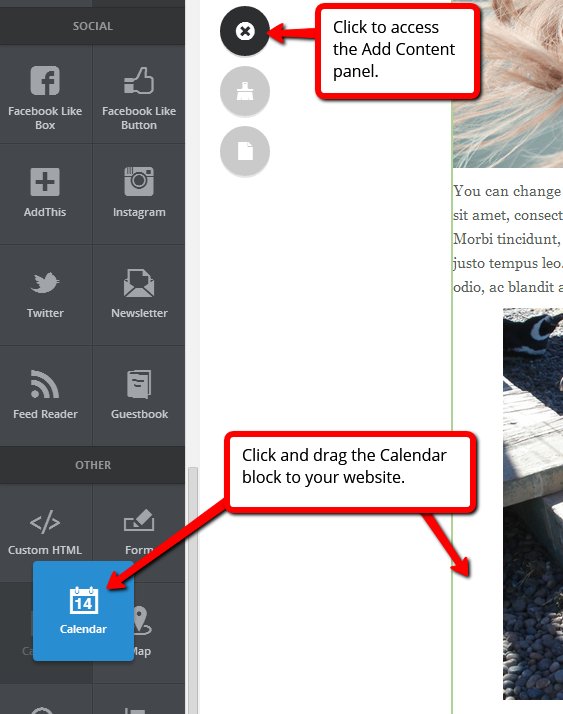 Click here to learn more about doing that.